Whether your a private citizen or a professional tree service, Select Materials will accept all your tree limb drop offs. Cut limbs can stack up into huge unsightly piles on your land. 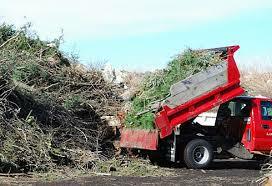 By dropping them off with us, we will dispose of the leaves and limbs in an environmentally friendly manner by grinding them up into landscape mulch to buy and or organic composting them. Our service is free your first time to try when you purchase materials during the same time and then $20 per load after that. All we require is that your tree and leaf or leaves waste be free of trash and plastics. Colorado, Denver, Boulder, Longmont, Lyons, Loveland, Erie, Lafayette, Firestone, Hudson, Fort Collins, Broomfield, Westminster, Thornton, Aurora, Greeley, Golden, and the entire front range and all rocky mountain towns.